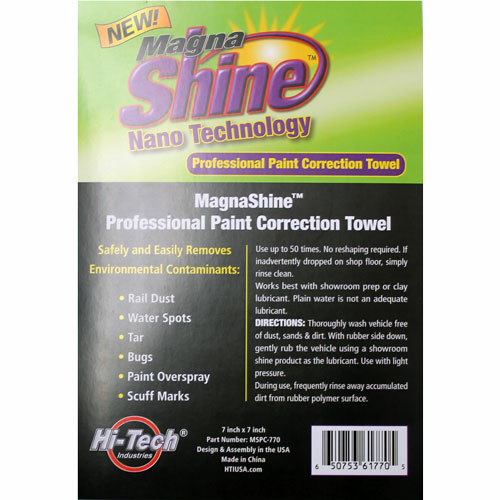 Hi-Tech Magna Shine Paint Correction Clay Alternative Towel is a detailing clay bar alternative that will safely and easily remove environmental contaminants such as rail dust, industrial fallout, pollen, paint overspray, water spots, scuff marks, tar and even dried on bugs. Simply use the Hi-Tech Magna Shine Paint Correction Towel with your details spray as a lubricant and glide over the surface of your paint, metal or glass to removed bonded contamination and reveal a slick, clean surface. 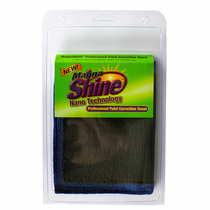 The Hi-Tech Magna Shine Paint Correction Towel may be used up to 50 times without reshaping like traditional detail clay. If you should accidentally drop it, simply rinse clean. 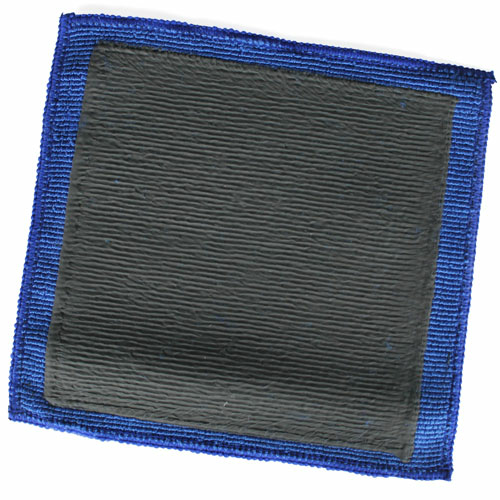 Thoroughly wash vehicle to remove dirt, dust and debris. With rubber side down, gently with light pressure rub vehicle surface using a detail spray (NOT WATER) as a lubricant. 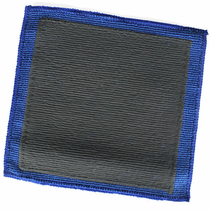 Rinse frequently during use to remove accumulated contaminants from the rubber polymer surface.